Home » Buying your own land at 18 is almost impossible. But hey, Granny Flats! Listening to a radio talk back show the other day I learnt that it was becoming more common for young adults to stay living in the family home with their parents until their late 20’s or even into their 30’s. I remember when I was finishing high school and my friends and I couldn’t wait to move out and start living our lives away from our parents, in fact at that time it was pretty rare for an 18 year old to continue living at home! Some of the callers were happy to have their adult children living with them as they felt it was a good opportunity to assist their kids with saving up to buy a home or a car before they took the big step of leaving home; on the other hand there were callers describing how their child finished school 10 years ago but they were so comfortable at home (with their parents paying their bills and cleaning up after them) that they had no plans to leave!Another common complaint was that kids that had left home previously now wanted to move back home because of a range of problems including financial trouble, relationship breakdowns or an inability to find alternative accommodation. With Perth’s economy as slow as it is after the end of the mining boom and also finding myself struggling to manage my mortgage on top of all of my other living costs, I got thinking about how my son would manage when it comes time for him to move out and join the workforce or go to university. I want him to become independent and learn to control his finances as well as learning to maintain a home without the worry that he may end up in financial trouble. One of the solutions I came up with was building a granny flat! Granny flats Perth have typically been the ideal alternative to nursing homes for our ageing parents and relatives because they can be built on your existing property (given the space is available) and they provide privacy, security and independence for the intended occupants. However, just because they are commonly called ‘granny flats’ does not mean they can’t be used for housing people other than the elderly. Granny flats are basically tiny houses which can be occupied by anyone, even rented out for extra income, but they are ideal to be used as a Bachelors Pad (or Bachelorette), single parents or a teenagers/ young adults retreat. A Perth Granny flat can be a great way to teach your young adult how to become more responsible and independent while still being in close proximity to their family to obtain guidance and support. While building an ancillary dwelling does cost a significant amount of money, the benefits don’t end when your child does decide to leave! Your property value will grow significantly by featuring a granny flat, you could also lease it out in order to recoup some of the costs of the build, it could be used for a home business or office and then repurposed to house your elderly relatives when the time comes. When you consider the number of ways you can make use of a granny flat, the initial costs incurred quickly become a very wise investment for the homeowner. 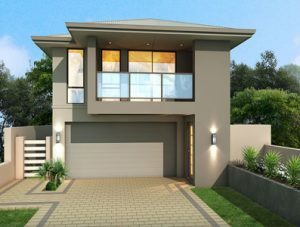 At Great Living Homes we design and build many granny flats throughout Perth and the surrounding areas, in fact the popularity of these dwellings continues to grow in these tough economic times with many people feeling the pinch and looking for more cost effective ways to live.